10 Inch Locking Pliers-Round Jaws Knipex Tools is the worlds largest manufacturer of professional pliers since 1882. Knipex Pliers, Cutters, Insulated Tools and other products have been the tools of choice for Professional Tradesmen and end users who are serious about their hand tools and demand industrial quality. Knipex Tools are made from start to finish utilizing the highest quality materials. Based in Germany, KNIPEX Tools are German engineered to produce a tool unmatched in the industry in terms of features, comfort, design and performance. 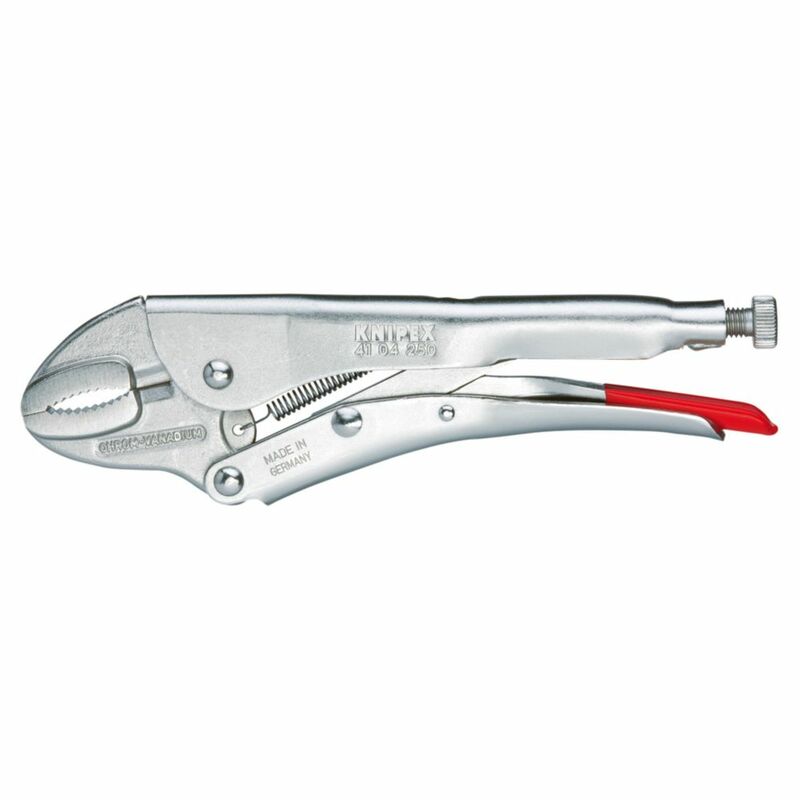 10 Inch Locking Pliers-Round Jaws is rated 3.0 out of 5 by 2. Rated 1 out of 5 by eh from Tried using them for sheet metal work. locked them in... Tried using them for sheet metal work. locked them in then they would pop off and fall to the ground. possibly faulty pair, don't know, heard from someone they were good. but apparently not for critical moments. Rated 5 out of 5 by tools4me from Good quality Knipex products are the best quality you can buy , they are expensive but worth the money.